FREE Shipping for all orders above 50 USD | FREE SAMPLES with every order! A unique blend of mineral bath salts extracted from the riches of the world-famous Dead Sea to cleanse and firm your skin, relax your muscles and let you indulgein the warmth of nature in the privacy of your home. 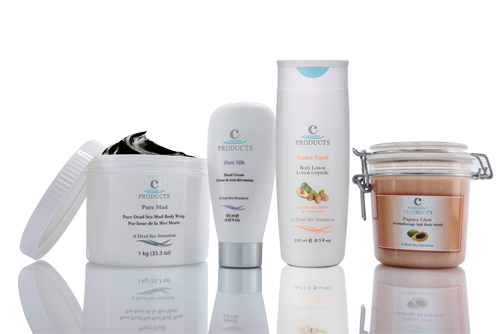 A wide range of products based on the magical Dead Sea minerals along with other ingredients such as Argan Oil and Jojoba Oil. Pamper your skin with the rich Dead Sea minerals in the comfort of your home. 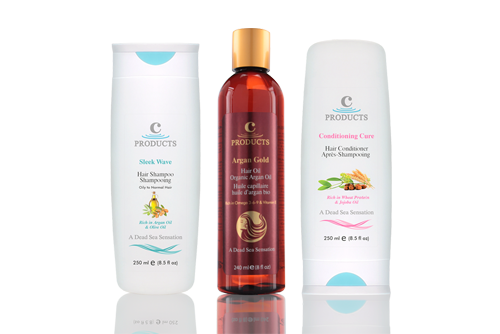 Dead Sea minerals along with other ingredients such as Argan Oil have proven to be extremely beneficial for the scalp and hair... a secret waiting to be discovered. Our gift sets are designed to suit all occasions and are guaranteed to satisfy everybody’s taste. 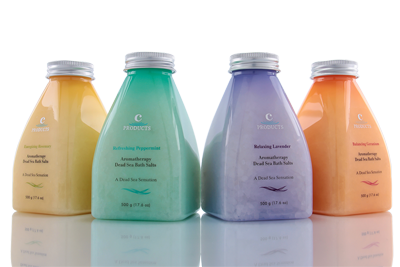 You are one click away from bringing the Dead Sea to your doorstep. 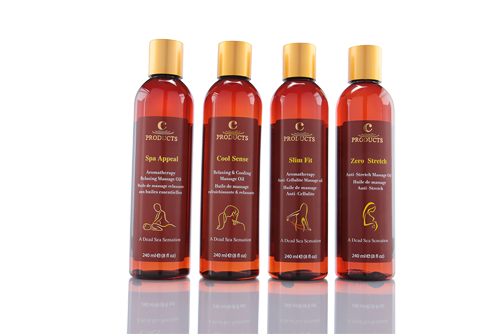 Body massage has been well recognized as an ancient art of healing, which provides harmony to the mind, body and soul, while the use of Aromatherapy Oils can maximize the healing powers of the massage itself. With our natural soaps and cleansers, you can feel and enjoy the natural minerals of the Dead Sea softening and cleansing your skin without causing dryness or irritation. Want to get in touch with us? You can leave a message and we will contact you . 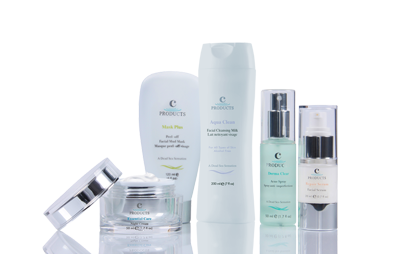 © 2016 C-Products. All Rights Reserved.